Upline Moving has our own way of doing business and, with a repeat customer rate of 70%, it looks like we're doing something right! Since 2008, Upline Moving has made it our business to provide exceptional moving services throughout the Bay Area. Staying in California? We don’t blame you a bit for wanting to remain in this beautiful area, and our experienced intrastate movers can help with every detail of your move. Our commitment to excellence has earned our intrastate moving company long-standing accreditation from the Better Business Bureau, Angie’s List “Super Service Award,” and other accolades. We’re also proud to have been named “Best Mover for 2017" by San Francisco Magazine. When you want the convenience and peace of mind of guaranteed fixed pricing along with highly skilled, professional, courteous Bay Area intrastate movers, Upline Moving is the proven choice. We’ll go the extra mile to deliver 100% customer satisfaction. Full-service moving or custom moving packages. Custom crating for fragile items. In-house experienced California movers–no subcontractors. 30 days of free storage (can be extended for long distance moves). Costs calculated by items rather than by weight. 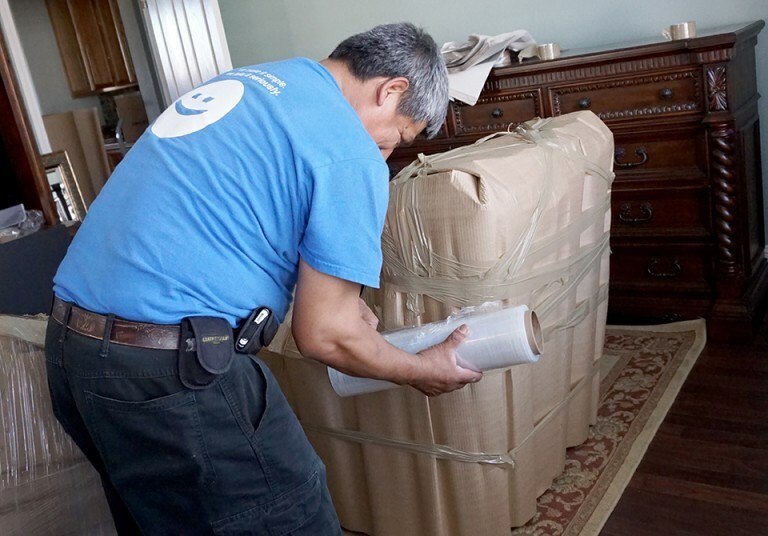 Courteous movers who treat your belongings with care. Don’t trust everything you own to just any moving company. Instead, contact the Bay Area residential movers who have a decade of proven experience and expertise. Call Upline Moving today for more information about our award-winning service, or fill out our online form now to schedule your free, in-home moving quote.